When I say, “I love you”, it’s not because I want you or because I can’t have you. It has nothing to do with me. I love what you are, what you do, how you try. I’ve seen your kindness and strength. I’ve seen the best and worst of you. 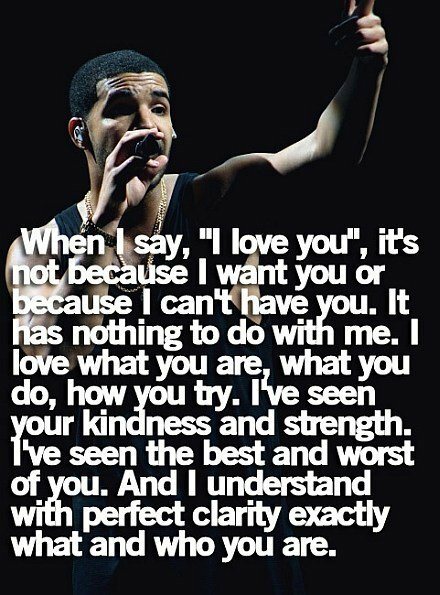 And I understand with perfect clarity exactly what and who you are. This isn’t Drake BTW. Spike from Buffy the Vampire said this to her in season 7. Back when Drake was still on Degrassi.